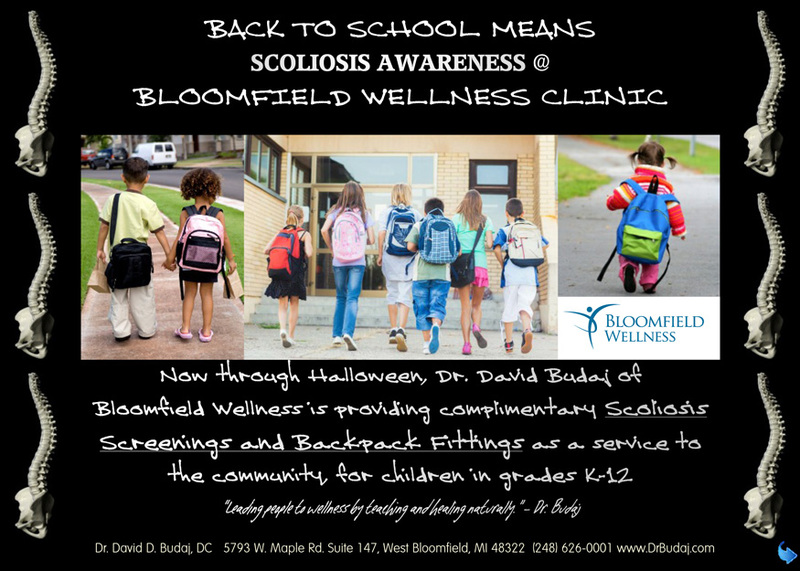 Dr. Budaj is offering free scoliosis screens for students in the community, as well as backpack fittings for students grades K-12. Any parent can schedule with the clinic, (248) 626-0001, located just west of Orchard Lake off of Maple on Daly. 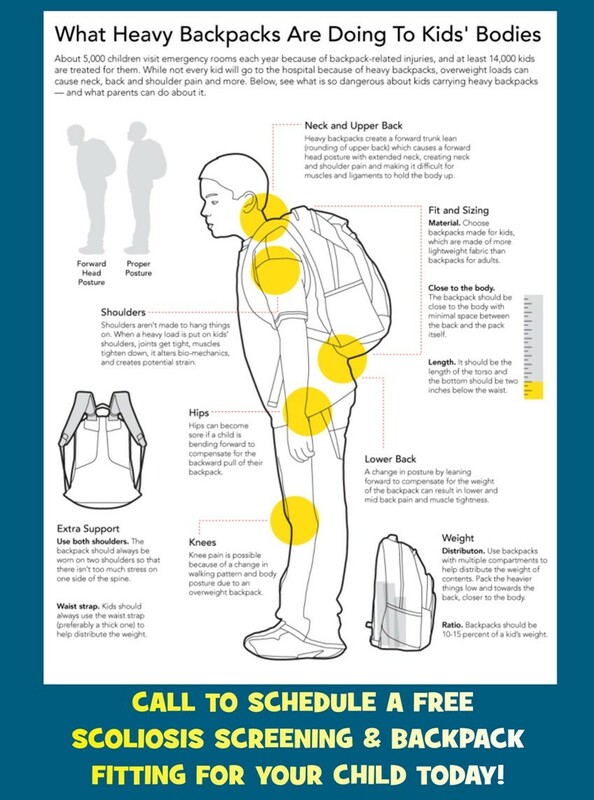 This offer is to create awareness of early signs, and prevention of scoliosis and other spinal problems. These screenings are available through Halloween.